9&10 News and Gray Sowle and Iacco are proud to provide Northern Michigan with a source for legal information – The Law Help Line. 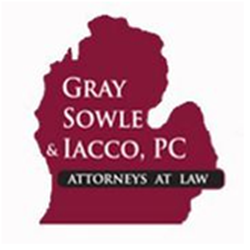 The law firm of Gray Sowle and Iacco have been handling workman’s comp, auto and social security claims in Northern and Mid-Michigan for decades. call our 24 hour free legal line at 877-MYLAW43.